This past weekend is the perfect example of why I can. Last year my daughter got engaged to get married and asked if I would make mama pies for their wedding. She doesn’t care for cake and of course I said sure, no problem. So last summer when the produce was at its peak I started canning pie filling; Apple, Apricot, Peach, Caramelized Pear Ginger, Nectarine, Apricot Blueberry and Nectarine Plum. I have to admit, I was a little overwhelmed thinking of renting a house and making pie crust and cooking it in an oven I’m not familiar with. 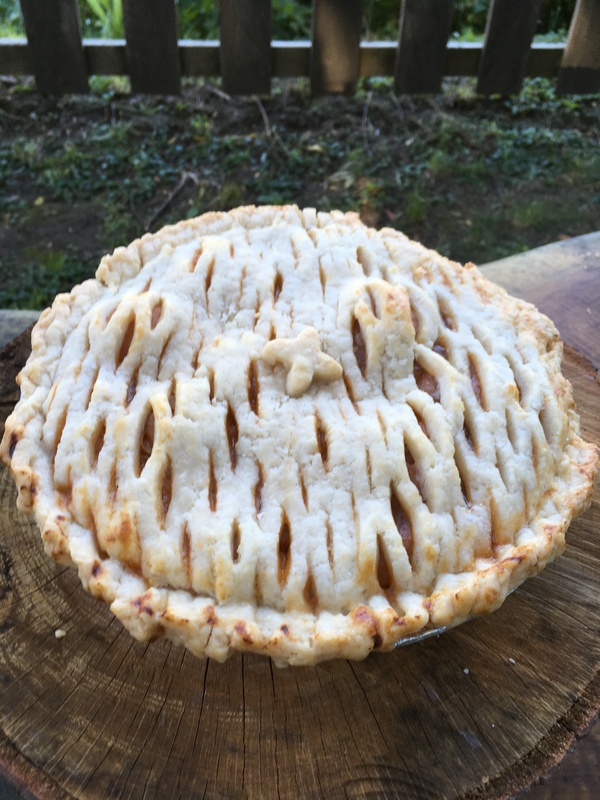 One day I bought pie crust as a test and took one bite and said I can not do this to my daughter or her guests. I needed a plan on how I was going to do this. 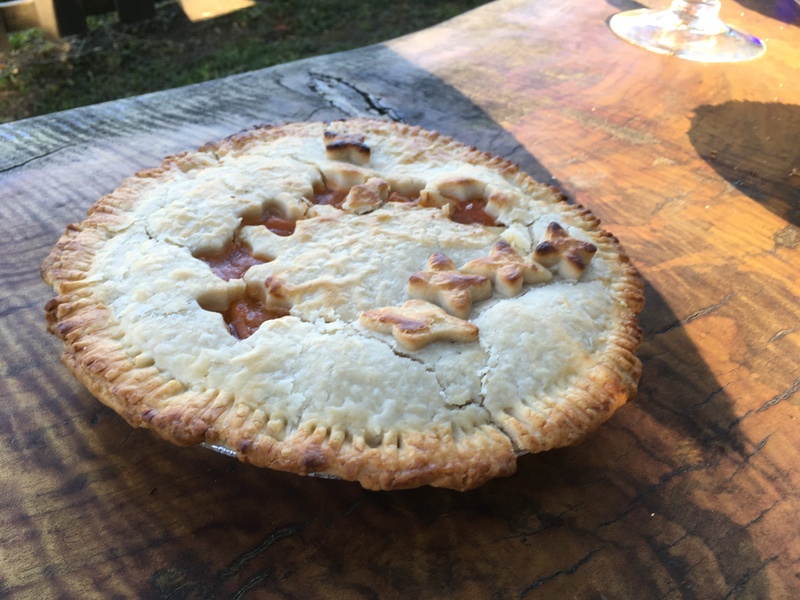 As the wedding got closer I started creating the perfect pie crust that could hold up to me decorating it. It needed to taste good and look good. When I finally felt I had it down I needed to test it to see if I could make it ahead of time and freeze it, thaw them, roll it out, decorate it, and then bake. The test was successful and I was making pie crust and individually wrapping them for the freezer. I also made oatmeal pie crisp tops by putting all the dry ingredients in pint jars then at the rental just adding soft butter and mixing. The next thing I worried about was the oven at the rental house. Was it in good working order and how can we get 20 pies to the wedding site without having them get damaged in route? Friday morning my mother and I got up and started rolling out the pie crust to decorate, then poured in the pie filling and bake them. The oven was gas and it was very inconsistent which made it a challenge for each pie. We didn’t get all 20 pies done that day. We needed to go to the wedding rehearsal so I got up Saturday at 6:00am and finished the last 5 pies. Now it was time to get the pies to the wedding site. 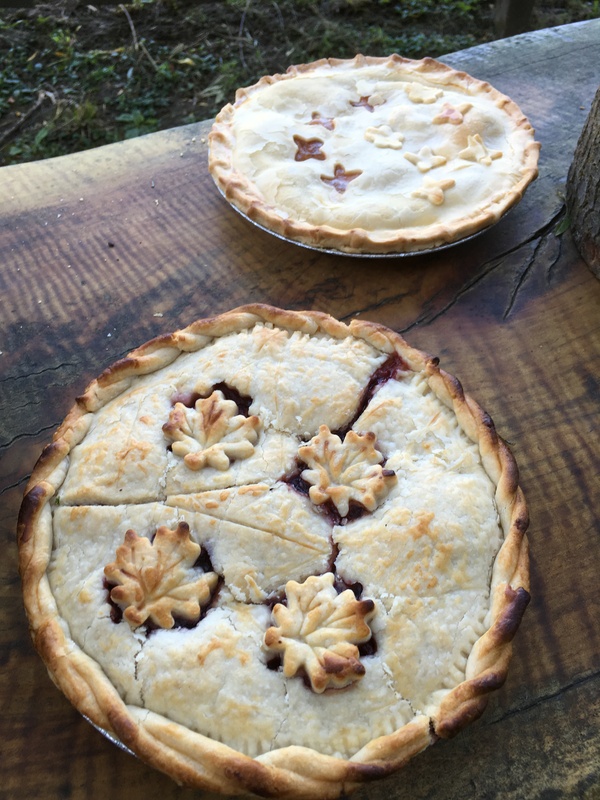 We carefully placed pies in the trunk of our car and in the back of my parents car and drove slowly to the venue and place the pies in the walk- in cooler. Later that afternoon some friends of the groom helped get pies out to the table where my mother saw one man with ten pies stacked on top of each other. She ran up to him and asked please do not do that as we spent two days making them beautiful. I told her I was happy I didn’t see that, I probably would have had a melt down, possibly kick him in the shin. The most important thing was my daughter was happy how the pies turned out. The guests would get a piece of pie walk along the table looking to see what pie they wanted next. So I guess it was successful. At the end of the evening we wrapped up what was left and gave it to guests to bring home. This is why I can. Hi everyone, I can’t believe summer is over and kids are back to school. 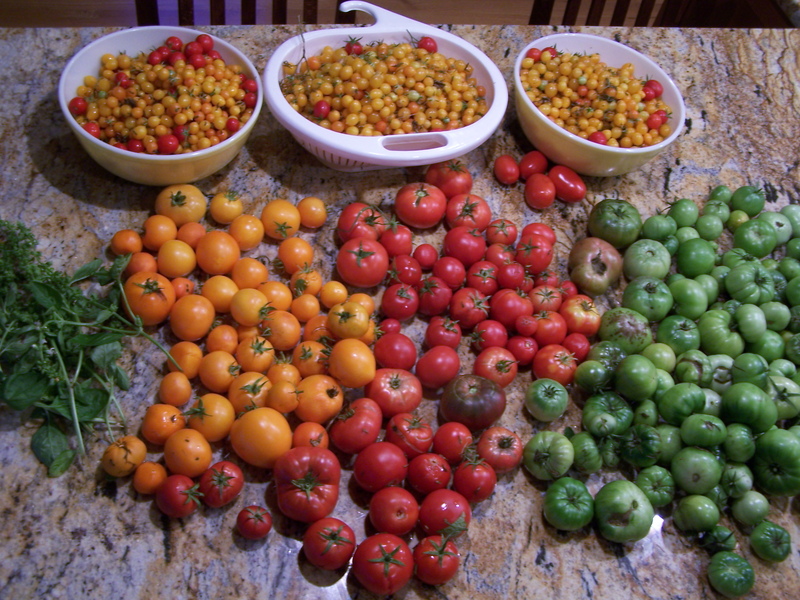 I had a wonderful summer with a few trips and a lot of experimenting in the kitchen. If you know me, you know I’m addicted to preserving food. Not only have I been making new recipes for canning, but I have also been learning more about fermenting. Which leads me to a small problem. 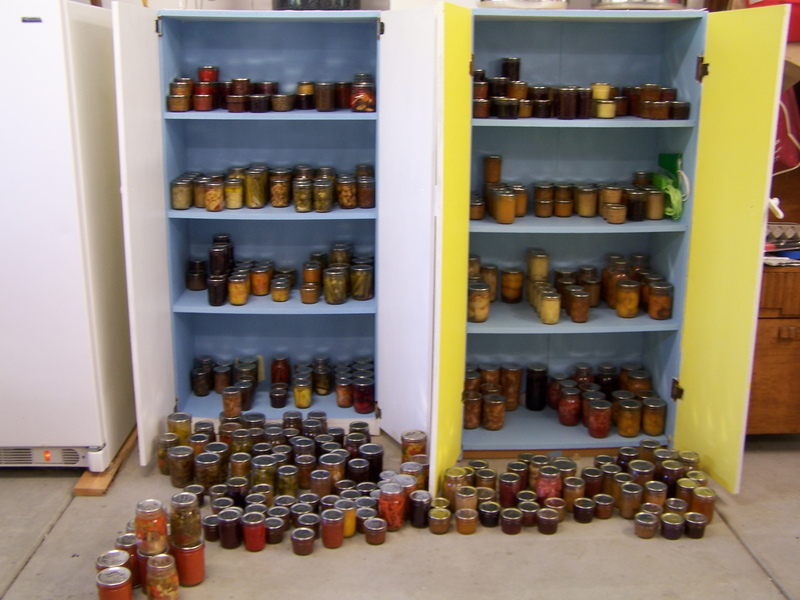 I have too many jars! Some would say this isn’t a problem, but I know I can’t eat it all. So I would like to share with you some of the overflow. All you need to do is sign up for a class and let me know which jar you would like to receive. (See the list below) Your jar will be ready to go home with you at the end of the class you have chosen. I have added 15 jars after this photo. Check out the class calendar for new up coming recipes. Happy Canning. I’m sure you can find a jar that you and your family would enjoy.